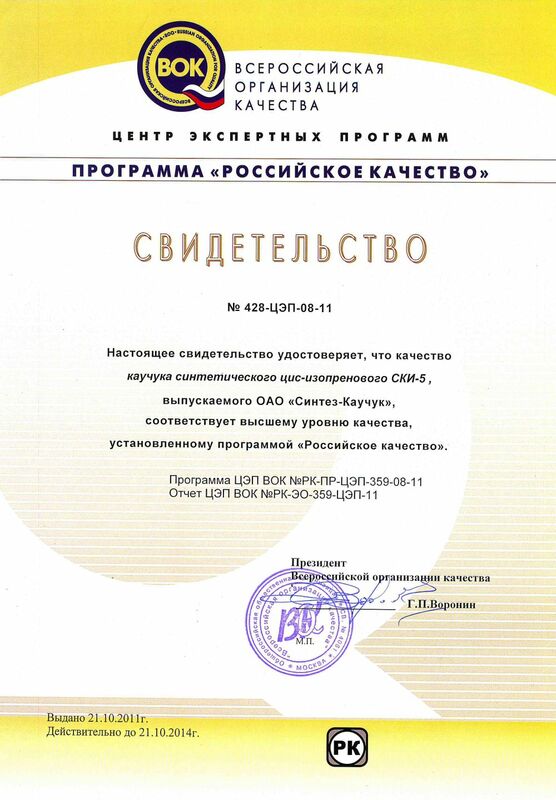 In 2011, the results of expert evaluation of products under the "Russian quality" synthetic rubber cis-isoprene rubber SKI-5 was assigned the highest level of quality. This estimate is supported by the relevant certificate gave the company the right to use the label on the label certifying Quality Mark. 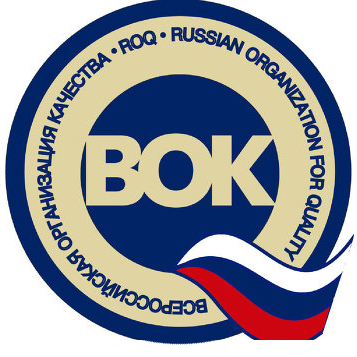 In this competition the company is held annually by the supervisory control of the Russian Organization for Quality. February 19 2013 was obtained an expert report on the results of the inspection control. It says that from November 2011 to December 2013 of "Synthez-Kauchuk" is stable, ensuring efficient use of raw materials, and produce high-quality neodymium isoprene. This successful outcome is certainly strong evidence not only consistently high quality and reliability of the company"s products, but also evidence of the effectiveness of its management and staff.